By studying of the European Commission’s Programme consumers (Erasmus+ Programme consumers before all), as well as the programs financed by other foreign and domestic donators, we found out that in Serbia only a small number of young people are informed or use given possibilities. That leads that assets available for these activities remain unused, or these possibilities every year are used by the same people. Contrary to the fact that in the EU countries and in the rest of the world more and more attention is paid regarding inclusion of youth with special needs, and in this case regardless of the reforms in the educational system Serbia has taken to follow the same way, in practice, the situation is not even at least similar to its predicted goals. 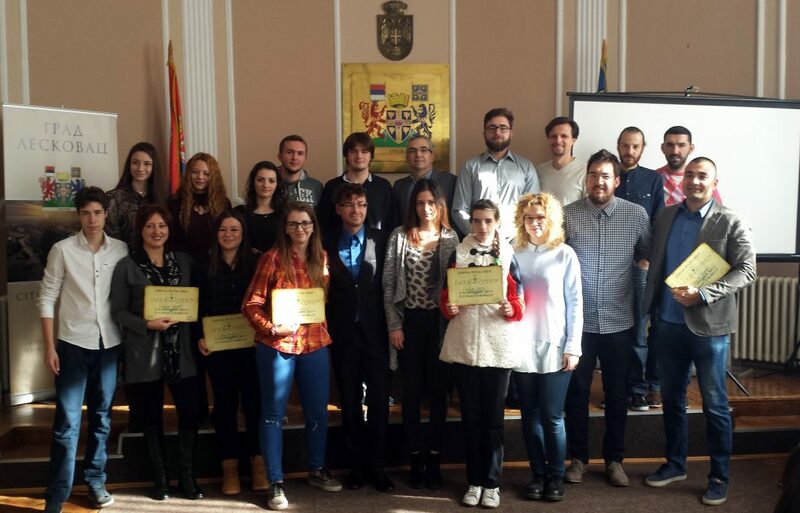 “You can inspire, as well!” project, which has been realised in the scope of “Youth law” programme, was supported by the “People’s parliament” association and financed by the Ministry of youth and sport of Republic of Serbia. 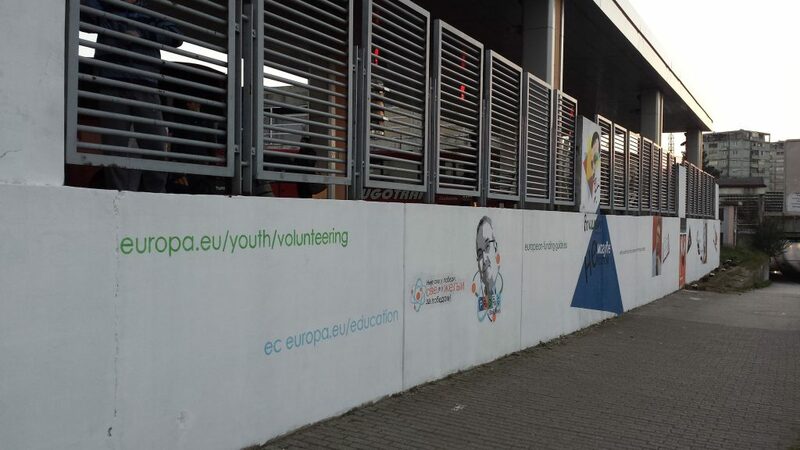 It was predicted the promotion of mentioned possibilities as an example of good practice would be done in many ways (by presenting available possibilities, by painting public surfaces on behalf of joined forces of the common population of youngsters and youngsters with special needs – with a big support by the School of elementary and secondary education “11th October” and School for textile and design). Through it, youngsters would be motivated to take things into their own hands and use the possibilities available for them, and everything with the aim to promote understanding, tolerance and equal chances for all youth. 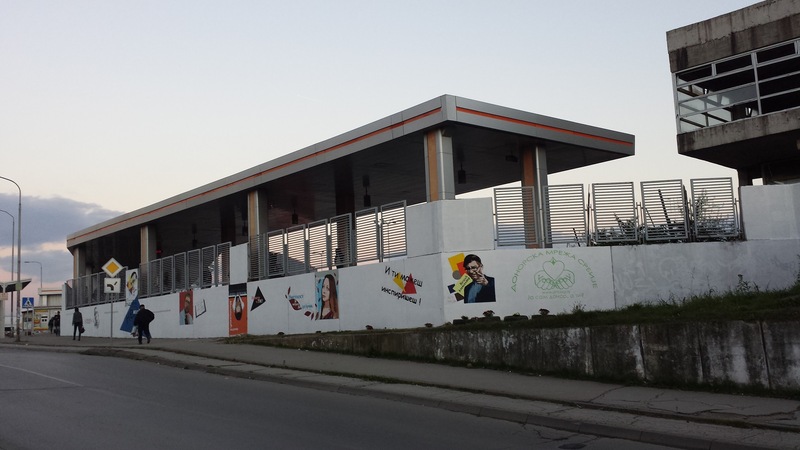 We got many suggestions during the competition, one of which was published at the end of September, and another one that suggested the portraits that would be painted on the City Bus Station of Leskovac’s walls. The idea was that suggested portraits originate from Jablanica’s district, and to be one who with its work, acts and lifestyle contribute to the positive promotion of the place where they originate from. These portraits should serve as a positive example, encouraging youngsters to start following their steps. In one hand, youngsters should see that people coming from that area could succeed in life, and on the other, they should keep humanity in themselves and not allow to become a senseless and conceited person. One more criteria how these personalities were chosen was if these people are out contemporaries i.e. if the person is dealing with youngsters and whose life story could serve youngsters as a positive model of behavior and success. Vladimir Milošević (’80)– Young pianist and professor, who at the age of 24 has performed at the famous New York “Carnegie Hall”. Vladimir Prokopović (’88)– A young scientist, who at the age of 27 received the Ph.D. in biomedicine in Berlin, and then returned to his hometown Leskovac, where he started his own business and started the process of networking of young entrepreneurs. Vladimir Savanović (’85)– Young athlete and Olympian, who at the age of 31 received the Ph.D. at the Faculty of Sport and Physical Education in Niš. He was the participant of the Olympic Games in Rio 2016 and the first Olympian from Leskovac ever. Vladimir Stevanović (’84)– Young archaeologist and ninja. Founder and President of Ninjutsu Club “Bujinkan” Leskovac. The current champion of Serbia in Kudo Daido Juku – Japanese MMA skills. Goran Šmelcerović (‘82)– A young cyclist, Paralympic athlete. Co-founder of the Cycling Club Leskovac. Mariana Veličkovski (‘92)– Young painter. Despite the difficult financial situation and the fact that she lives without both parents, in 2016 graduated from the Faculty of Arts in Nis, with an average score of 10 and enrolled in Master’s studies. Milan Petrović (‘87)– Young cyclists Paralympic athlete. From his age of 16, he is completely blind. A year ago, a tumor has been he successfully removed from his brain. 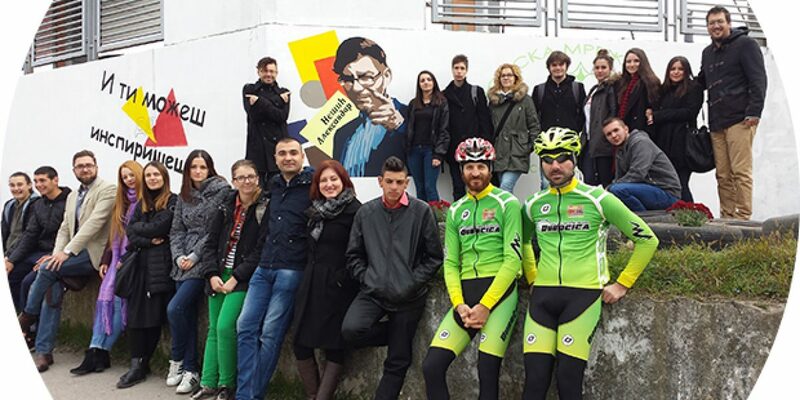 Co-founder of the Cycling Club Leskovac. Predrag Stoiljković (’66)– Professor of chemistry. More than 20 years, first through the work in elementary school, and later in the gymnasium, in addition to regular classes, he prepares his students for various competitions. Stefan Mitić (’92)– Young youth worker and poet. Founder and President of Youth Club Ančiki – OKAN. The first in Serbia who translated own poetry into sign language and adapted for people with hearing impairments. Аleksandar Nešić (’84) – Activist, Founder and President of Donor Network of Serbia. For many years engaged in youth work, through which stimulates positive changes in society. 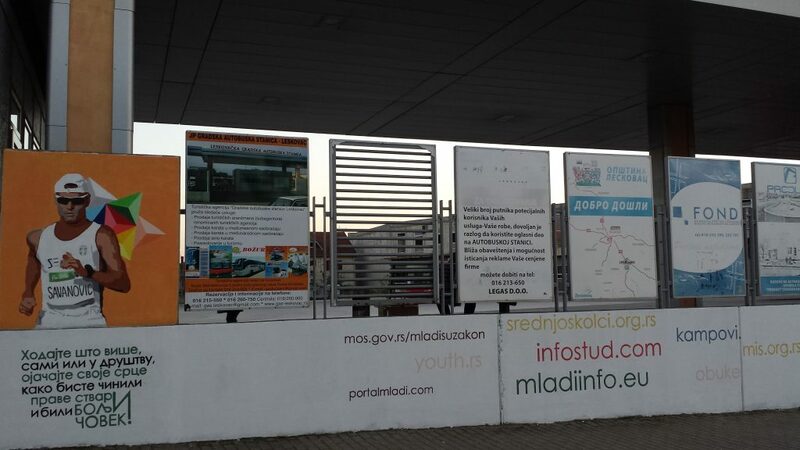 In addition to portraits of mentioned personalities, on the City bus station of Leskovac fence were listed their personal motivational messages, as well as links to Internet sites where young people can find a wealth of information about the opportunities for education abroad, travel, business, etc. The “You can inspire, as well!” project was realized in cooperation with the School for textile and design, whose final year students of Graphic design department: Ana Đorđević, Bogdan Stojković, Jovana Trajković, Julijana Stojanović, Katarina Mihajlović, Lola Stanković, Marija Lazarević, Marija Petković, Saša Veljković and Stefan Stojković, with the help of their homeroom teacher, professor of drawing and painting – Zorica Nešković, performed painting and enriching of the public areas. For them, this was the first time to work murals and to work on larger areas. This, on one hand, gave an immeasurable contribution to our society and this project. On the other hand, in coordination with their homeroom teacher Zorica Nešković, as a person delegated by the Director of the School for textile and design, someone who largely by his own work and ideas helped the realization of this project, have gained a unique experience and skills that will bring immense value to their future work, growth, and development, as ones of giants of the Serbian painting in the announcement. Under the supervision of Professor Gordana Saničanin, the students of the School for Primary and Secondary Education “11th October”, have joined to our young artists. They gave in an inclusive manner and under the mentorship of their peers i.e. our young artists, they contributed to this work of art as well. Upon completion of the artistic works, our artists were photographed with figures that were painted by them, and these photos will be placed within the composition of their work. In this way, we want to draw the attention of the public that this work was done by our children, full of talent, inspiration, and motivation, who have their own name, and that they are not just some anonymous who, for the purposes of some project, have drawn something there somewhere. 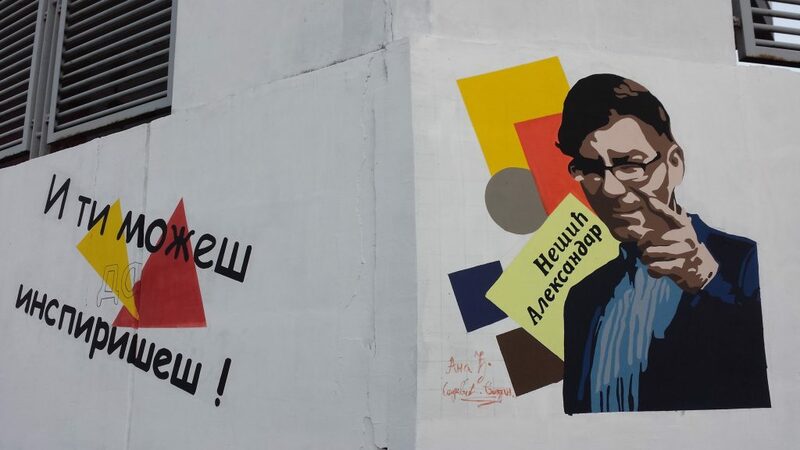 Taking into account the facts of the case, arrangement of green areas in the immediate vicinity of the mural was started. For now, this area was cleared, dug, seeded/planted with flower supplies and herbs. 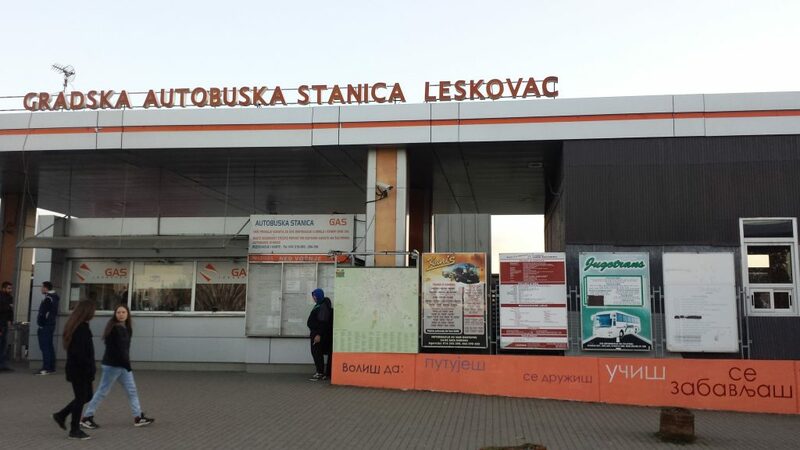 In agreement with the Directorate of Planning and Construction of the City of Leskovac and a City bus station of Leskovac, the lighting of this area will be provided too. 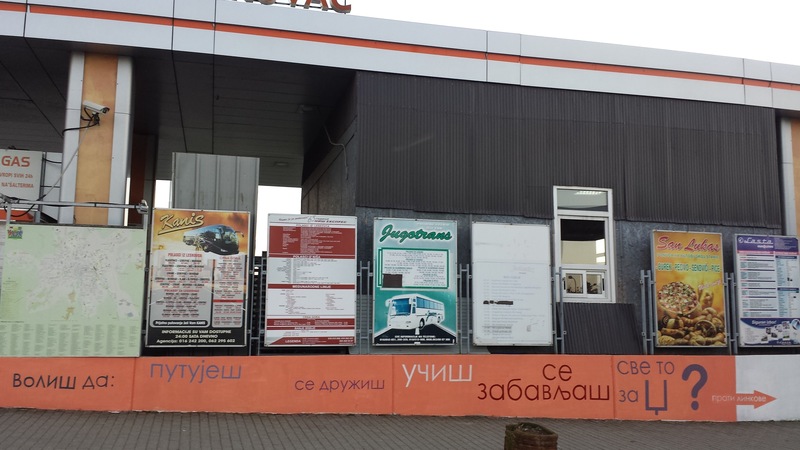 So it is not going to serve as a public toilet to unscrupulous citizens anymore. in order to prevent the re-establishment of the landfill on the above-mentioned green surface, setting up of trash cans will be made. To crown this project, a meeting was held in the hall of the City of Leskovac, at the end of November. During this event, we thanked everyone who contributed to this project.